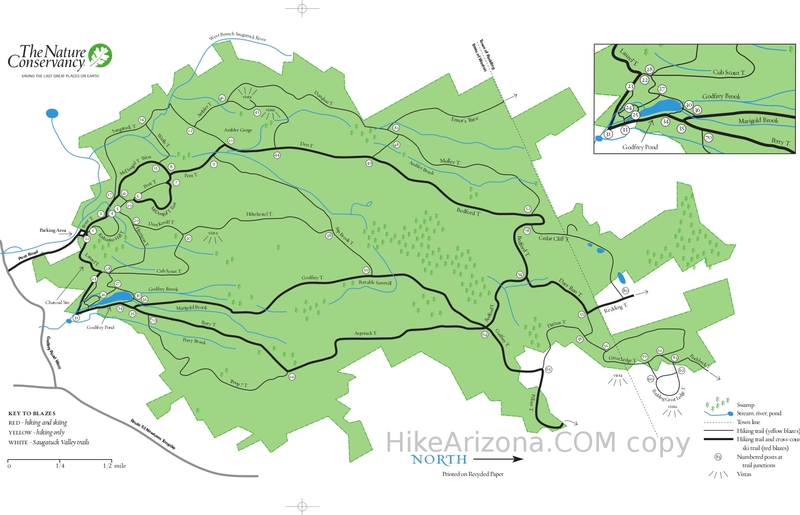 Deer Run Trail - Devil's Den is a 0.48 mile one way hike with 107 feet accumulated elevation gain. Located 12 miles west-northwest of Bridgeport Connecticut. May and September are the best months to enjoy this hike. Overview: Deer Run is a connector trail in the northern part of Devil's Den Preserve. It connects to the Bedford Trail (post #54), Bruzelius Trail (post #55), Dayton Trail (post #56) and Great Ledge Trail (post #58).